JOIN MY MAILING LIST ↓ TO RECEIVE YOUR FREE COPY OF THE SAMPLE! Enter your email address below to receive your free e-book! I respect your privacy! I won’t spam you, I promise. Thank you for signing up! Click here for your download. I know it’s a bit bizarre, but happiness and following my passion led me here. I am Stephanie Buttermore, a PhD who has transitioned from the world of academia for a world of sharing my life and passion for the things I love. Using social media, I entertain, but most importantly, educate on the scientific principles of training and nutrition. I’ve taken my many years of experience reading and writing scientific literature to understanding the fundamentals of exercise science. As a YouTuber, I’ve learned the importance of detecting the fallacies in the overly hyped media and general misconceptions to communicate the truth with my followers in a clear and digestible way. I also love to have fun and share my passion for food, demonstrating the importance of balance for a happier life! Cheers to lots Gains, Food, and Science! 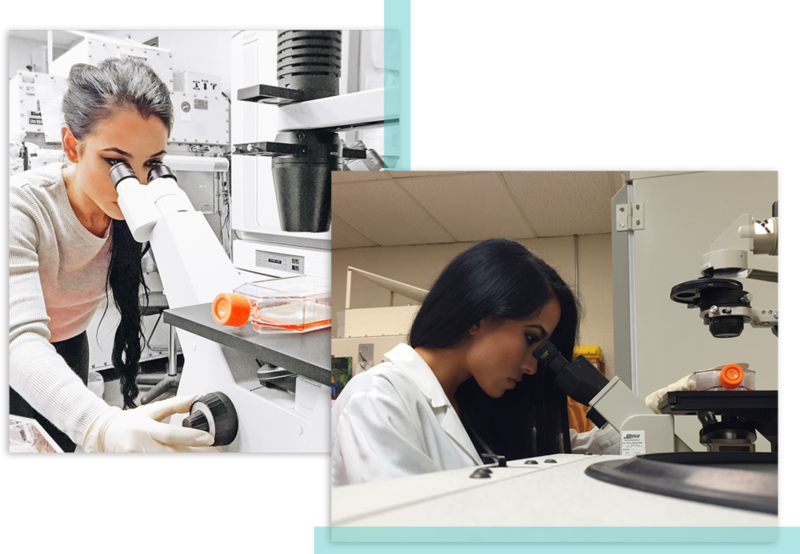 My doctoral research focused primarily on early detection screening markers and the molecular mechanisms driving ovarian cancer (OC). Through my work, I discovered that a protein called Receptor for Hyaluronan Mediated Motility (RHAMM) was up regulated in OC cell lines, OC tissue and OC patient urine. I demonstrated that RHAMM could be used in conjunction with other screening modalities as a viable early detection urinary screening marker (patent).